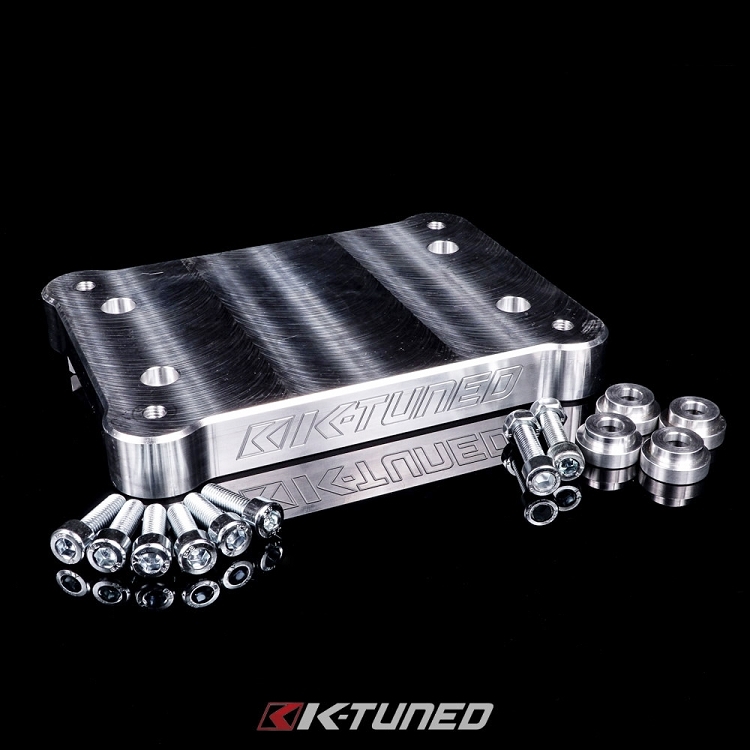 The K-Tuned Billet Shifter Base Plate is designed to install an RSX Type-S or comparable shifter box without cutting a hole in the exhaust tunnel of the chassis. This setup is preferred by many racers, esp. 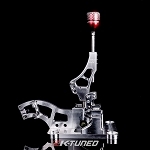 road course racers, because it mounts the shifter higher in the vehicle, keeping it closer to the driver and the steering. It also leaves a lot more room below the car for large exhaust systems. 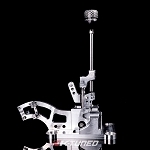 The Shifter Base Plate was designed to route your shifter cables inside the car. Generally users set them up to exit through the heater hose hole in the firewall. Note that we assuming that the heater core has been deleted on most race cars. 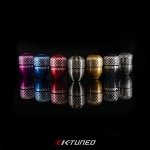 We also want users to be aware that this shifter setup does not clear any interior panels or center consoles on any chassis. 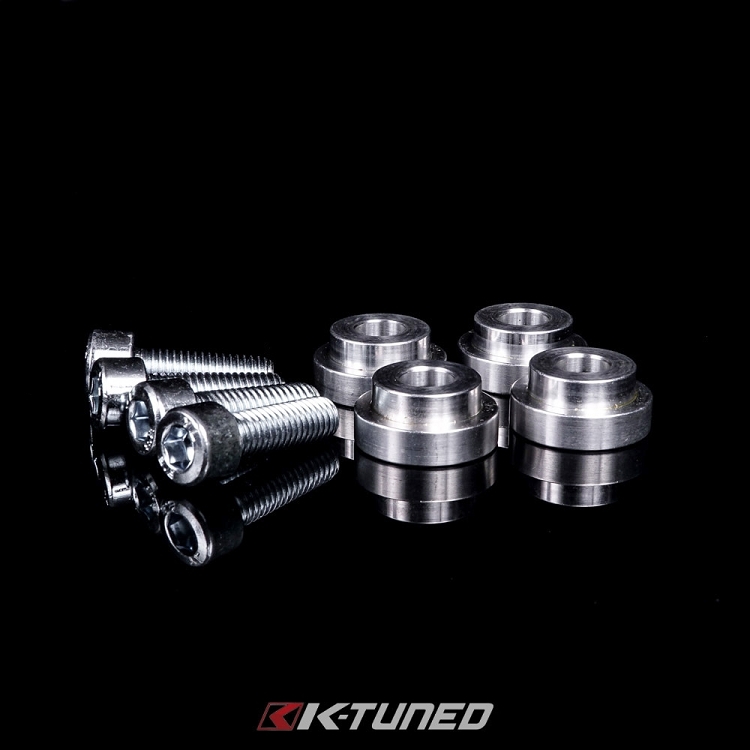 As a final note, we want to give credit to R-Crew as the original designer of this part. We were sad to learn recently that they are no longer in business. 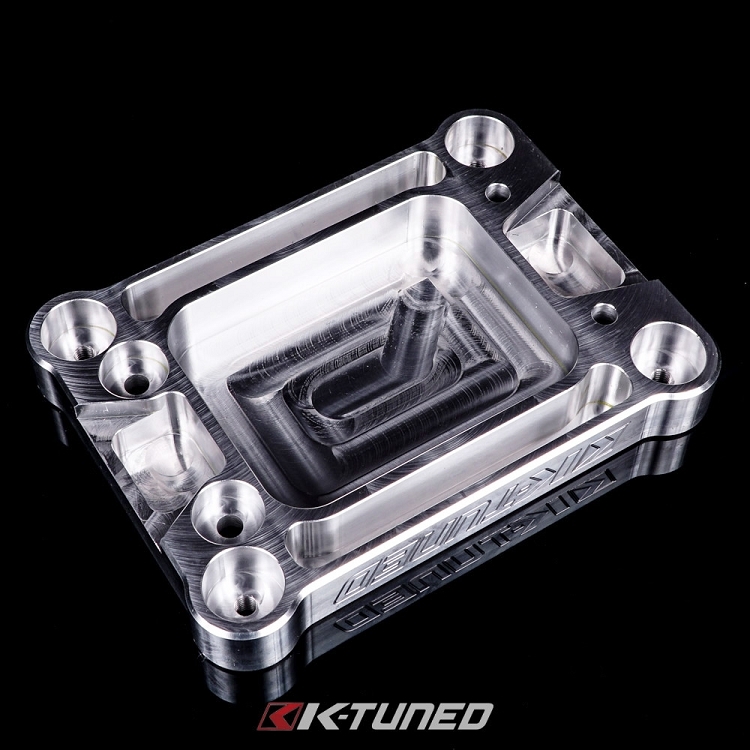 Without an alternative, customers and vendors requested that we make our own version of this base plate.